TU Dublin and Future Analytics Consulting are to host a Dublin workshop demonstrating the latest developed training materials as part of the EU Horizon 2020 BIMcert. The workshop will showcase, through the developed material, how BIM processes and technologies can enable better design using sustainable carbon-lowering materials and energy sources. Technological University Dublin (TU Dublin), in partnership with Future Analytics Consulting, will host a workshop to demonstrate and showcase the latest training materials developed as part of the EU Horizon 2020 BIMcert project (Proposal Number: 785155). Energy BIMcert’s goal is to improve the sustainability of the built environment by training its workforce in more efficient and greener ways of constructing through the use of BIM processes and technologies to enable better design using sustainable, carbon-lowering materials and energy sources. 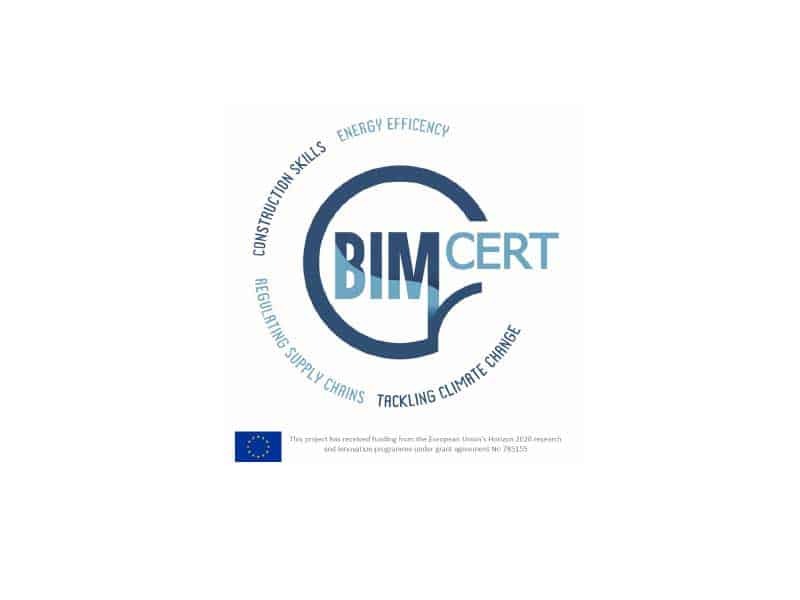 The project is developing training materials that integrate concepts of sustainability and renewables with practical application of, and integration with, BIM technologies and processes. A number of BIM-focused training units to be delivered via a blend of online and face-to-face methods have been created. These training units have been designed to encourage greater workforce mobility, continuous upskilling and better employability for all levels of construction employee associated with sustainability and energy efficiency. The training will compromise of both individual units and clear pathways of development for individuals and for SMEs to upskill their staff from any starting point of knowledge to any required level. The workshop on the 8th April 2019 from 18:00-20:00 in TU Dublin’s Bolton Street Campus is one of a number of events where industry practitioners will have an opportunity to feed into the development of materials and help the project’s partners ensure alignment with the needs of the sector. The workshop will include live lectures focusing on key BIM and energy terminology, the benefits and value of BIM workflows for energy performance, and the impact of BIM on traditional construction, as well as a live demonstration of BIM energy assessment tools. The feedback from the workshop will enable the refinement of the material and attendees will also have the opportunity to join the project as industry partners and beta testers of materials. Tickets are free but limited for this workshop, and you can register by clicking here.